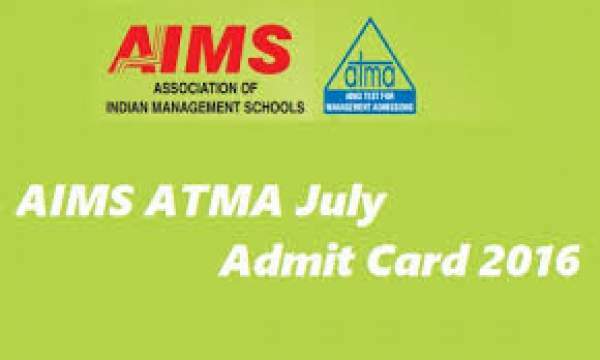 The AIMS is going to activate the link to download the admit cards from July 21, 2016; that is from today for the ATMA exam that is going to be conducted on July 24. The AIMS will conduct the ATMA examination to provide admissions in various PG courses in management. Hence the aspirants those who are going to write the ATMA exam on July 24, 2016. Candidates must have to follow the steps to download the admit cards. The first step is to reach the official website of ATMA Aims i.e. www.atmaaims.com. Click on the tab login for candidates link. Then select your exam date, PID, and password in the provided fields. Check all the details and download the admit cards. The hall ticket is a necessary document that should be taken by the candidates in the examination. It is because it contains all the details such as seat number and other details. Without admit card the candidates will not be allowed to write the examination. Stay tuned to The Reporter Times for latest education news and all government jobs updates across the nation.